Hoops, Stabilizers, Design Sizes, Design Positions, Materials ... How do you know what to use and when to use it when embroidering a design? Come join us for a Crash Course to Embroidery. 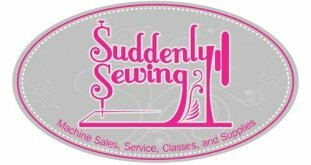 We'll go over the various types of embroidery stabilizer, Hoop sizes, Design types and styles, and proper hooping techniques. If you recently received a new or new to you embroidery machine, then this is the class you need to get you started in the wonderful world of machine embroidery! Bring machine, embroidery unit, assorted embroidery threads. Pen and paper for notes. All other supplies included.